3. Leave a comment. Since you were going to do that anyway, include what your man will do for you after indulging in whichever meal(s) you are sharing. Maybe he did the dishes? Gave you a foot massage? Let's share with each other and maybe get some tips out of this!! I went ahead and started, because this is also about sparking a fun conversation about what's going on at home. 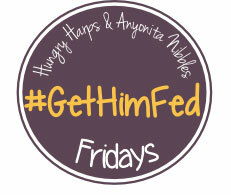 Heck, take a picture, post it on Instagram and label with #GetHimFed - it may be featured next week! Great idea for a linky, love it! 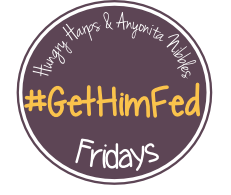 Both Hilary and my husbands are obsessed with the jalapeno poppers and will pretty much do anything for them! What a cool idea for a link party! Thanks for hosting!